- Peter Cupples has been delighting Australian audiences for three decades. Originally with ‘Stylus’ in the late 70’s, then through the 80’s with the Peter Cupples Band featuring the likes of ‘David Hirshfelder’, ‘Virgil Donati’, ‘Ross Ingles’ and ‘Rob Little’. Cupples is known by most singers as ‘the singers singer’ and is widely respected by his peers. Some of his biggest fans come from far and wide ‘Bill Schnee’ producer of ‘Boz Scaggs’ Amy Grant’and ‘Huey Lewis and the News’, ‘legendary horn arranger ‘Gerry Hay ’ and ‘Harvey Mason’ to name a few. He was the first white singer to sing on the Motown label with ‘Stylus’ and has always maintained a deep respect for soul music. The band played the Melbourne pub band circuit in the early 80's when pub rock was big business around town. We loved what we were doing, and we felt that we were forging ahead and defining new trends in music. We had a decent publicity machine behind us, and generated a good amount of interest in Australia and overseas. We supported some top overseas artists and received critical acclaim. The album and singles sold well, particularly in Melbourne, but we never received the commercial success that we needed to take the band to the next level. We never managed to put together the sound that was needed for a big Aussie hit. Maybe we were a bit too different, maybe the timing wasn't right.. - it's hard to say - but we were playing the music we loved playing, and our loyal fans followed us around the circuit as we continued in our pursuit of success. We started working towards the second album "Half The Effort Twice The Effect". The songs had already become part of our set, and the fans had received them well. We had enough material to put down a follow up to 'Fear Of Thunder'. It was just a matter of working out with the record company which direction the album would take. Louie Shelton, who is a legendary guitar player from America, came to Australia to produce ‘Half the Effort, Twice the Effect’ back in 1983. That’s when I first met Louie. Louie was inducted into America’s Musician’s Hall of Fame in 2009. He played on all The Monkees’ stuff. He has also played with The Jackson Five, Marvin Gaye, Boz Scaggs, Lionel Ritchie, Barbra Streisand. 'Half The Effort' was recorded for the American market and as good a recording as it is it is a bit of an orphan. It was never really given its chance to find a place in the local market and suffered from a lack of marketing. It was never even released in the U.S… Locally it was labelled as an American recording and in America it sounded like too many other American bands. That being said,it was a beautiful album and I loved the music on it. Louis managed to get the legendary Gerry Hey to provide the horns section when he mixed it in the U.S.
"Love Of Another World" was the first single and features that horn section. "Party Lights" was a poppy song that got some airplay.. Probably the peoples favourite song on the album was a little ballad called "Sitting Here".. Whilst being slightly departed from our rock 'n' roll roots it never failed to bring the house down when played live. We finished it with a little three part harmony that still sounds wonderful today. People still come up to me today and mention that little number,20 years on. However, for the second time in my career I had reached a stage where the constant drain and grind of touring had worn me down. Similar to the end of the Stylus years, this period in the Peter Cupples Band signaled to me that it was time for a new direction in life. Peter has drawn his musical inspiration from a variety of artists. - PETER CUPPLES is the former lead singer and songwriter of ‘STYLUS’ – the Australian blue-eyed soul band who became the first ‘all white band’ to be signed by the US Motown label, Tamala. Peter first came to prominence with Stylus in 1975, releasing four albums with hits such as ‘Summer Breeze’ and ‘World of Make Believe’ before the band split in 1980. 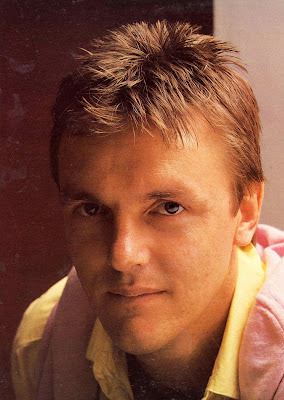 A successful solo career followed throughout the 80’s, with a top 20 hit for his first release, ‘Fear of Thunder’, and success with the song ‘Blame it on the Weather’ – not only for Peter but also for John Farnham, whose voice, incidentally, Peter’s soaring vocals are often compared to. Peter also became a regular on TV shows such as The Midday Show, Hey Hey It’s Saturday, Tonight Live, and Carols by Candlelight at the Myer Music Bowl. Other albums released include ‘Still Alive’ (with a reformed Stylus); ‘Changes’, ‘Bac2basix’ – a roots album filled with wonderful storytelling songs such as ‘Pioneers’, ‘Family’ and the ‘Poor Man’s Al Jolson; a jazz standards album, ‘About Time’; and ‘Home Grown’ – Peter’s own tribute to some of his favourite Aussie artists. Over the last decade, Peter has toured both solo and with Stylus, and with his close friend, Australian rock legend, the late Jon English. Their collaborative show, Uncorked’, filled with nostalgia and good humoured banter, delighted audiences everywhere throughout Australia. Peter works with many charities and has written songs for the ‘Make a Wish Foundation’ and the ‘Sacred Heart Foundation’.